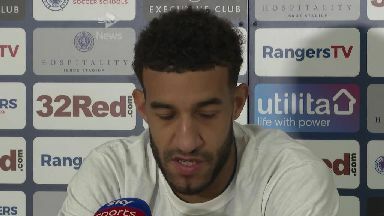 Rangers defender Connor Goldson believes the reaction to a melee at the end of last month's Old Firm game was overblown. Two of Goldson's team-mates - Alfredo Morelos and Andy Halliday - were sent off and both sets of players clashed after the fiery game at Celtic Park. Both manager Steven Gerrard and winger Ryan Kent were also handed bans following their side's 2-1 defeat. But the English defender said "not much harm was done" and is looking forward to the next derby. He said: "It's football, and I just think the type of game that it is and the atmosphere in the whole game, it probably boiled over a bit more than it should have. "But at the same time I don't think there was really that much harm done. "It wasn't like a big fight it was just a little bit of pushing between maybe 20 players." Rangers will take on their Glasgow rivals again on May 12 at Ibrox in their final home game of the season. They currently trail the champions by 11 points but Goldson believes beating their ancient rivals is all the motivation they will need going in to the game. He said: "I don't think there is an added determination (to win the next one) because you go in to every single Old Firm with the same determination and same motivation to every game for this football club. "I think that the boys done themselves proud in the second half, but at the same time, when you lose the game, it is hard. "It would've been hard for Celtic when they lost at our place, it's just the rivalry and the atmosphere that you get in those big games that when you are on the losing side it does hurt. "So we will go in to the next one with the same motivation and determination to win the game." Goldson was speaking at the launch of a new project by Chest Heart and Stroke Scotland aimed at tackling Scotland's biggest health problems. In 2017 the defender had to undergo surgery after being diagnosed with a heart condition during a routine check up. The 26-year-old now hopes to encourage others to confront their own health risks after agreeing to front the campaign which will be opened in Glasgow this summer. He said: "I remember actually telling the physio at Brighton I didn't want to go for the appointment at the hospital because I wanted to go home and play PlayStation with the lads. "It's not the type of thing you want to hear. I was 24 years old, flying high in the Championship at Brighton. How did I feel? Horrible. Scared. "When you hear that news your first worries are, 'What am I going to do? Football is all I know'. "I had to wait seven weeks for the operation and in that time I was told not to do anything," he explained. "I wasn't allowed in the gym, I wasn't allowed to run, I wasn't allowed to do anything. 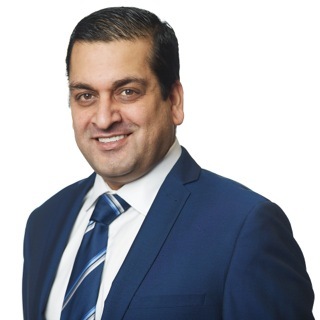 "I had what looked like a swollen aorta but they didn't know if that was actually swollen or had always been like that as they didn't have previous tests to check it against. But the volume it was showing at, the surgeon was worried it was a risk. "If it goes, you die straight away. There's no coming back. "He didn't want to take that risk, so we just went on holiday a couple of times and waited. After the op, though, I was back playing within eight weeks."